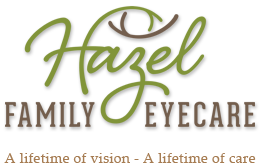 Keep up-to-date on the latest Hazel Family Eyecare news! Do you include eye care in your overall health care? If you're seeing clearly, it's easy to overlook routine eye care — but it's still important. Regular eye exams give your eye care specialist a chance to help you correct or adapt to vision changes, as well as detect eye problems at the earliest stage. Dry, Burning, Irritated Eyes on the Rise! Kids See Free – Back to School Eyeglass Special! Designer Eyeglasses – Focus on LaFont Frames. Check out our appearance in this month's issue of the Roswell, Alpharetta, and East Cobb Current Newspaper! We offer a unique mix of boutique frames for every style and use the latest digital lens technology. Frames are coming in... Eco, Tom Ford, Silhouette, LaFont, Fendi, Flexon, Hugo Boss, Kate Spade, Nike, Costa, William Rast, and more. Please visit our Boutique Frames page for more information.